What is Levoflox (Levofloxacin) used for? 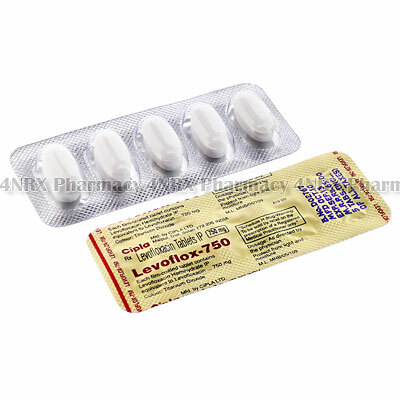 Levoflox (Levofloxacin) is an oral antibiotic prescribed to treat a large variety of bacterial infections. The medication destroys or slows the reproduction of bacteria in the body allowing the immune system to control or eradicate the infection. This function makes it useful for treating infections affecting the lungs, urinary tract, sinuses, prostate, soft tissues, skin, or for the treatment of bronchitis. Your doctor may prescribe this medicine to be used along with other medications or for the treatment of other unlisted conditions. How should I use Levoflox (Levofloxacin)? Levoflox (Levofloxacin) is normally prescribed to be taken once or twice each day at a dosage of one tablet for a cycle of medication lasting one or two weeks. Your particular directions will be determined by your doctor based on your age, weight, current health, the condition being treated, and the severity of your symptoms. These doses should be swallowed with a large glass of water and may be taken on an empty stomach, although a meal or snack is recommended before use if you experience nausea. Never chew, split, or crush the tablets prior to use as this may destroy or alter the effects of their contents. Do not stop taking the medication before being told to, even if your symptoms seem to have disappeared, as the infection may not be gone and can return stronger or more resistant to treatment. What are the side effects of Levoflox (Levofloxacin)? Serious side effects that may require immediate medical attention are severe headaches, vertigo, irregular heartbeats, chest pain, difficulty breathing, muscle pain, fever, flu symptoms, seizures, increased pressure within the skull, severe diarrhoea that is bloody or water, darkened urine, discoloured stools, or jaundice. Tell your doctor as soon as you experience any worrying or intense symptoms to ensure the correct adjustments are made to your application frequency or dosage to prevent more health problems from occurring. Levoflox (Levofloxacin) should not be administered to patients who are pregnant, breastfeeding, allergic to quinolone antibiotics, children, or who have epilepsy, or a history of tendon disorders caused by quinolone antibiotics. Also inform your doctor if you have diabetes, heart disease, disturbed sodium levels, myasthenia gravis, porphyrias, bradycardia, a history of abnormal heart rhythms, risk of seizures, G6PD deficiency, kidney function, recent organ transplants, or who are currently taking corticosteroid medications. These conditions may lead to unexpected health problems requiring unexpected health problems from occurring. 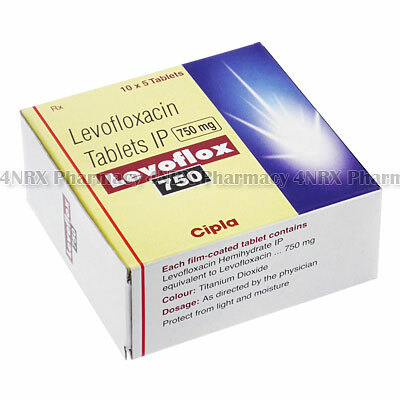 Strictly use Levoflox (Levofloxacin) as prescribed and follow all instructions provided by your doctor. Safe, suitable, and optimum dosage can vary and is dependent on the patient`s health and medical history, as well as the condition you are treating. Levoflox (Levofloxacin) may not be safe or suitable for all patients. Always ensure your doctor is informed if you are pregnant or breastfeeding, using any other type of medication (including non-prescription medicine, vitamins, and supplements), as well as if you have any allergies, other illnesses, or pre-existing medication conditions.